A new opportunity now exists for any club looking for something exciting, challenging and very different in their footy season. Why not head to Santiago, Chile, and take up a new offer from the Santiago Saints. The club is extending the invitation to clubs from the United States, Australia or even from across Europe to consider breaking new ground. For that matter, their newest opponents, the Bogota Bulldogs in Colombia, might be very interested in saying hello at the very least. Opposition for the Saints has been thin on the ground in recent years, sustaining themselves mainly with just training and intra-club games and events. But last year the Bogota Bulldogs arrived on the scene and in the first ever clash between the teams the Bulldogs took the honours. Patricio says that “we are planning a game against Bogota Bulldogs during July 2017. This would be the revenge for the game played in Bogotá last year in September.” To extend this further, the Saints invite any other interested team to “come on down”. The sheer cost of travel and associated outlay will always mean that South American Australian Rules clubs will be isolated to a large degree. 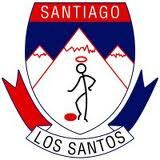 But the initiatives of the Santiago Saints are aimed at building a bridge for overseas clubs to cross – the first stage being a HUGE welcome sign. Even a group of six or eight players heading to Chile on an end of season jaunt might well constitute a team of sorts. The possibilities are as numerous and diverse as Chilean landscapes. Alternatively, you can contact Patricio at: patricio.saavedra.cruz@gmail.com via email for more information.